It's been three months since my last review of this one, not long by my standards, but I just got a request and in the last month I have gotten to try two of the only American versions of the style out there, Ich Bin Ein Berliner Weisse from Nodding Head and Berliner Kendall from Cambridge Brewing. The Nodding Head version was pretty nice, not too complex, but solid sourness and very easy drinkability. The Cambridge version was pretty lackluster, it barely qualifies as tart, and didn't have much else going on for it. Just going with the "straight up" this time. Appearance – Lite-lager pale-yellow, but not quite as crystal clear as a macro-beer (particularly after the yeasty second pour). 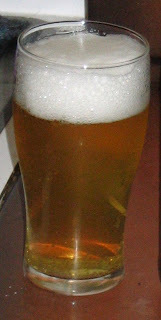 It pours with a two finger, tight, white head that quickly sinks to ½ finger, but stays there till the bottom of the glass. Smell – Apparent sourness, but it doesn't have that big sour nose that most of my other sour beers have. Sweet cereal wheat, it still smells very fresh despite being more than 7 months old. Starting to get a slight tinge of Brett in the aroma, light spice and cherries/apples. Taste – Great sourness, without being too heavy. Solid wheat background, that isn't quite as strong as in the aroma. The Brett is starting to have an impact on the flavor as well, sort of like a lambic light with lots of interesting fruit flavors. There aren't the layers of complexities that bigger sour beers have, but for 3.5% ABV there aren't too many beers more complex than this. Mouthfeel – Refreshing medium-thin body and prickly carbonation. Drinkability & Notes – Luckily that pesky “grainy” aftertaste is now completely gone, which really makes it easy to drink on a warm August night. I think this is a better beer than just about any commercial Berliner Weisse I have had, and one of my better batches to date. It will be interesting to see how the Brett character continues to develop (not that my last two bottles will last that long). If anyone from Wyeast is reading this, please bring this blend back! I agree that home brewed recipes are far superior to the commercial versions of berliner wiesse. I had three at Stone's sour fest and none where very sour or even tart. More like watered down hefe. My buddy brewed a BW and it was great, sour and refreshing. 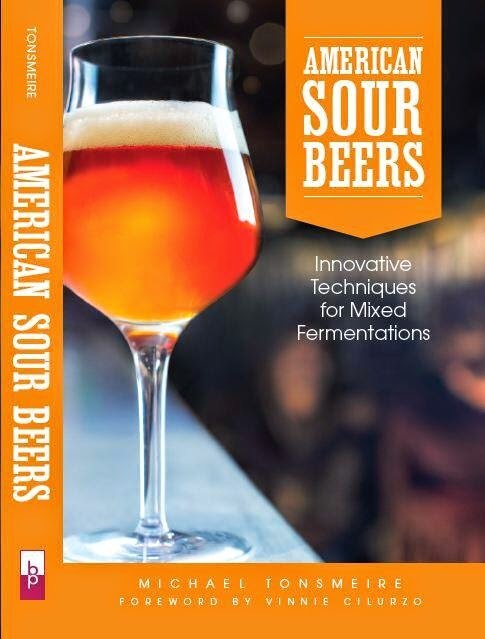 I want to know if berliners are traditionally that sour as compared to the sours of belgium? As far as I know Berliner Weisse has never been as sour as Belgian Lambic. This is mostly because the lacto that provide their sourness can only go up to ~1% acid, where as the pedio that does most of the souring in Lambics can go up to ~2% acid. Lambics also start at a considerably higher gravity (1.050 compared to 1.030) which leaves more food for the microbes to turn into acid. That said, I think that Berliner Weisse has also probably gotten milder over the years as is the case for many other German beers (Oktoberfest beers are getting paler, German Pilsners are getting less bitter etc…). A few months back, I had the pleasure of trying a 10 year old bottle of Schultheiss which was much sourer than any other Berliner I have had, but beginning to show signs of oxidation. I have read (German Wheat Beer by Eric Warner) that Schultheiss puts their beer through a far longer maturation phase than most other Berliner Weisse breweries, which might account for the higher acid level. Since this is the only bottle of it I have had, it is difficult for me to know how that bottle compared to a fresh bottle either from now or ten years ago. In the event that this exact yeast pack could not be tracked down-have you looked into how you would replicate this blend? Pitch with something neutral and finsih with brett? Or possibly brett all the way considering the lower level of fermentables here? I would go with a pack/tube each of lactobacillus and a European ale yeast (Koelsch or Alt). I would pitch the yeast and bacteria at the same time, or if you really want a lot of sourness go with the lacto first, followed by the ale yeast a day later. I don’t think the Brett is necessary because it should be primarily clean and sour, but if you want some funk go with a mild strain like White Labs Brett C in secondary. Some people do pure Brett C low gravity beers that turn out Berliner Weisse-ish, but I haven’t tried it for myself. Hopefully Wyeast will re-release the blend this winter, I’d certainly make another batch or two with it.